There is nothing fantastic about the amount of plastic we dispose. In a recent report, Pasig River was hailed as one of the biggest contributors of plastic waste in the world. Ocean Conservatory also suggested that the Philippines, Indonesia, Thailand, Vietnam, and China produce 60 percent of the waste found in seas worldwide. And on a bigger scale, the world’s plastic consumption is huge enough that it created a floating island as big as France. The disturbing facts about our plastic consumption and disposal also pose harm to other creatures. On Facebook, you’ll often come across posts on how straws hurt turtles, how bottle caps morph the bodies of fishes, and how tons of plastic interfere with the digestive system of whales. The list could go on, but it all boils down to how harmful plastic products are. Here at Nolisoli.ph, we try to be more mindful of what we use. For example, we’re using metal straws instead of plastic ones. Some of us also bring their own mugs when they buy coffee outside. When we buy small things, we also ask sellers not to place them in plastic bags anymore. But of course, there are times when we cannot find any substitute for plastic. Still, technology and sustainability never fail to amaze us. Here are some plastic alternatives that we wish are already available in the Philippines. Indonesia is the second biggest country that pollutes the seas with plastic, but a startup is determined to change that. Indonesian startup Evoware uses farmed seaweed to create eco-friendly dinnerware. The finished product has a jelly-like texture and it’s completely edible. Food and beverages retailer Ong Tek Tjan serves his ice cream in seaweed cups that vary in various flavors. 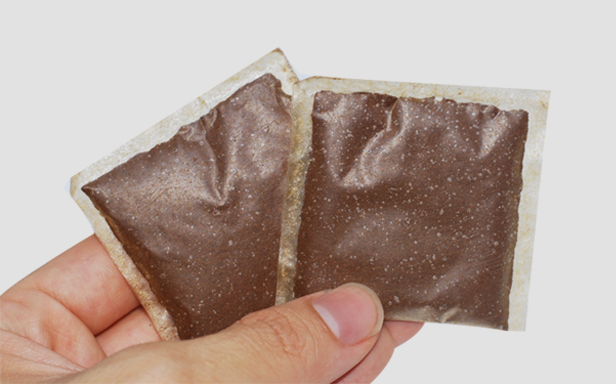 While Evoware’s first product is the cup, they are also producing seaweed packaging that has a shelf life of two years. As much as I’d want to ditch bottled water, I admit that I still fall into the lure of buying one when I go out. I try to recycle the bottles for my garden, but they end up in the garbage bin most of the time. Hopefully, a biodegradable material will replace plastic bottles in the near future. Ohoo!, for example, creates water storage with brown algae extract and chloride. Using a process called spherification, Ohoo! has two layers of membrane. The first one should be peeled off since it protects the second membrane and water from contamination. To drink the water, you simply put the ball in your mouth and bite it. The membranes are edible and biodegradable. If you’re weirded out by the idea of drinking water from a sphere, here’s a standard-looking water bottle. This bottle is made with red algae and water. When it contains liquid, the material retains its shape. Once you finish the liquid, the material dries out, shrinks, and decomposes. We encounter plastic bags every day. At home, we even have a drawer filled with all the plastic bags we got from the grocery. It’s recyclable, but it also takes hundreds of years before its decomposition. Along the way, plastic bags disposed may even suffocate and harm animals. But Indonesian company Avani Eco aims to change the plastic bags we use. The company introduces bags made from cassava or kamoteng kahoy, which feel and look like real plastic bags. It’s edible and dissolvable so you don’t have to worry about it being eaten by animals.